...you leave your 20 month daughter unattended for a few minutes with the Regal Rose ink pad and a make up sponge! At least it matches her dress! to get your orders in if you would like to make savings! If a Big Shot doesn't interest you, I will give you a voucher to the value of 20% of any order placed up to the 29th June 2011. This can either be spent immediately or have to be spent in July. So for example if you spend £50, I will give you a voucher for £10. It's been a busy few days! I had a class at home on Saturday morning followed by an Open House for anyone wanting to know more or buy Stampin Up products. I had some lovely friends through who have been so supportive of what I'm doing. Also dear husband took all 4 children out for the morning so I could concentrate! The class was similar to the one I taught last week. Had a slight panic when I realised I didn't have enough cream cardstock for one of the cards, so we used a different colour, came out quite well! Then last night I had a play with the Beautiful Butterflies Die (114507). I made some tiny notecards, the kind that you would slip in a parcel to someone, no envelope needed. Made a little bag for them using this tutorial here that I saw someone else use on the In Love with Stamping forum. Certainly Celery, Daffodil Delight and Pumpkin Pie. This is a mini notebook, isn't it adorable! Wouldn't it make a sweet party favour for a little girl - and only a few pence to make. Used about 4 sheets of white printer paper to cut all the butterflies, and Certainly Celery Card stock to create the front and back page. Stamped an image from the Green House Garden Set then used the Cropodile to cut through them in 2 lots. Tied it together with some Pear Pizazz seam binding. These are some of the other things we made last night. 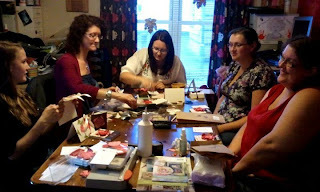 I showed the ladies how to do the two step stamping, and they all oooed and aaahed over how to use the Stampamajig! We also made a personalised notebook. Used the Fun Flowers die to cut the flowers, sponged the edges with basic black and "cupped" the circle with the end of a pencil and stuck it on with 2 dimensionals. 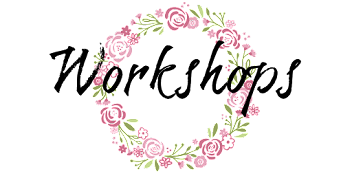 The ladies had great fun with the Stampin wheel to make a background which I then cut up for them to use. Quickutz Sophisticate letters, EK Success Swirl punch and Fiskars Threading Water punch. I've just got back from the first class I have taught as a Stampin Up demonstrator. The girls made 3 cards and covered 1 notebook. I will post more pics of the card's I demo'd tomorrow, in the mean time here are a couple of pics I took on my phone. it was so nice to see her own interpretation. If you would like to hold a class in your own home with some friends click here for more details. It's arrived and I've played! for my starter kit. Apparently it's been shipped and I'm to expect it Wednesday. I've been doing some research into the fantastic things that can be made with the Sizzix Big Shot. I have already been making use of Sizzix dies in projects and am planning to make my own videos. However there are already some fantastic demonstrators out there who have filmed great tutorials. Here are just a few of what I've found, enjoy! 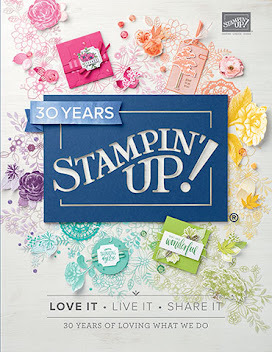 Well, I can officially announce that I'm an Independent Stampin Up Demonstrator. I had the email confirmation this afternoon that I have my demonstrator number and that my starter kit is on its way! 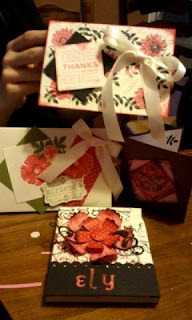 In the future I will be showing you how to make various cards and projects on this blog. To keep updated please fill in your email address on the right. A "beginners" workshop at my house is already booked for Saturday 25th June at 10am and I have a couple of spaces left. 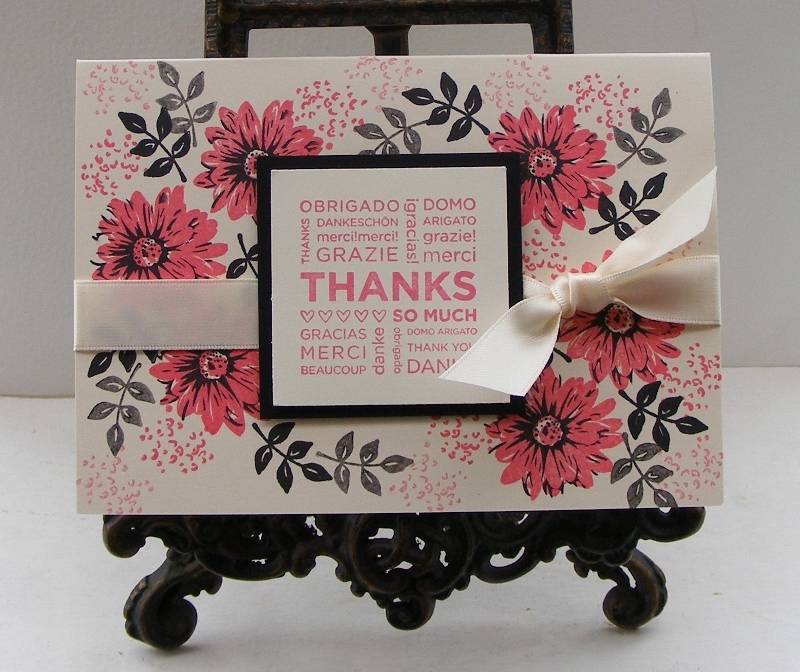 The cost is £8, and you will go home with 4 cards and will have gained some stamping experience! If you would like to book please contact me. If you have already booked you can pay for your workshop now, see below. Click on triangle for options.